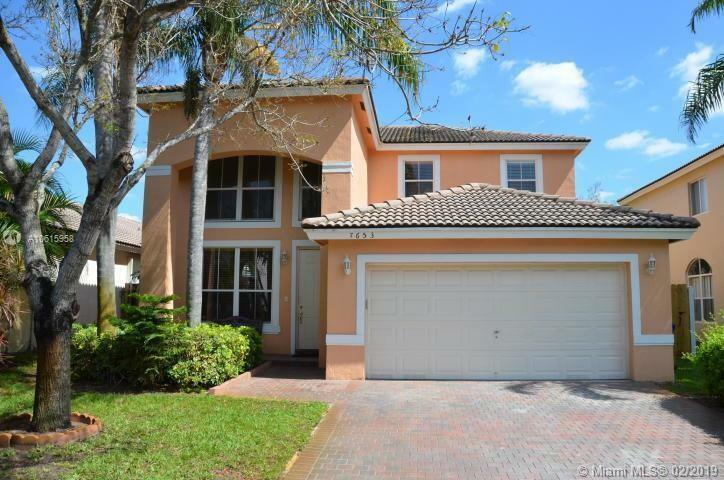 Very well maintained two story single family home in prestigious Walnut Creek. 4 bedrooms 3 baths . Tile flooring in social areas and carpeting in bedrooms. High ceilings. Bright, JUST REPAINTED INSIDE, kitchen fully equipped with a large central island , 2 cars garage ready for you. Low HOA fees. Gated Community, Multi-Million $ Club House, Resort Style Community Pool, State of The Art Fitness Center, Tennis Courts, Cable TV Comcast with Premium Channels, HOA maintain the Lawn Front & Back. 24/7 security. Located close to major highways, shopping centers, parks, hospitals and schools. Directions: Sheridan To University Dr , Go South To Taft St , Then East To N.w 76 Ave .after The Gate Make 1st Left Then Left To 79 Ave Then Left Again On 19 St.